Michelle and I planted the fall garden today. I know it doesn't look impressive right now. But have the patience of a yard farmer :-) As we say 'round here, "It'llgrow." I'll post an update picture next week. 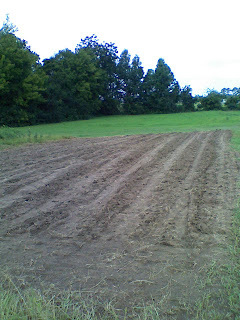 We planted collards, butter beans, pole beans, and watermelons. Believe it or not, these things will grow in extreme south Alabama this time of year.